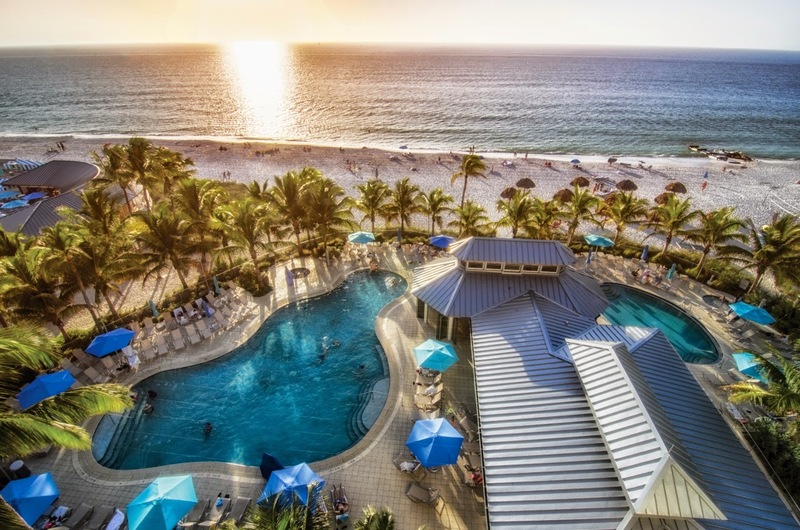 How many of you will be taking a trip to Southwest Florida this summer? If you have never been to that area...I highly suggest you visit at least once in your lifetime! It's a gorgeous area and there are always a ton of activities going on. In other words, always something to see and do! The Naples Beach Hotel & Golf Club In Southwest Florida is Offering 3rd Night Free This Summer!!! That's right, get your 3rd night free! The Naples Beach Hotel & Golf Club features an incredible setting on the pristine white-sand beaches of the Gulf of Mexico, the 125-acre resort is Southwest Florida’s only beachfront resort with a championship golf course, a world-class spa, and an award-winning tennis center, all on-site. Making it even more appealing, the resort spent more than $45 million in impressive renovations and enhancements over the last few years, which included the renovation of its 319 guest rooms and suites, the expansion and renovation of its popular The Sunset Beach Bar & Grill, and the addition (in 2010) of a beautiful new beachfront pool complex with two pools, two whirlpools, and a pool bar with food service. Want more reason to visit? The resort is offering the 3rd night free from May 21st – September 30th, 2015, based on availability, with holiday weekends excluded. For holiday weekends (Memorial Day, 4th of July, and Labor Day), the resort is offering the 4th night free instead. For more information or for reservations, call (800) 237-7600 or (239) 261-2222 and ask for the “3rd Night Free Promotion,” or visit www.NaplesBeachHotel.com , specifically naplesbeachhotel.com/3rd-night-free (or http://tinyurl.com/pv8p7dy ). Blackout dates may apply, and the promotion may not be combined with any other offer. Also, the promotion is not applicable to groups. 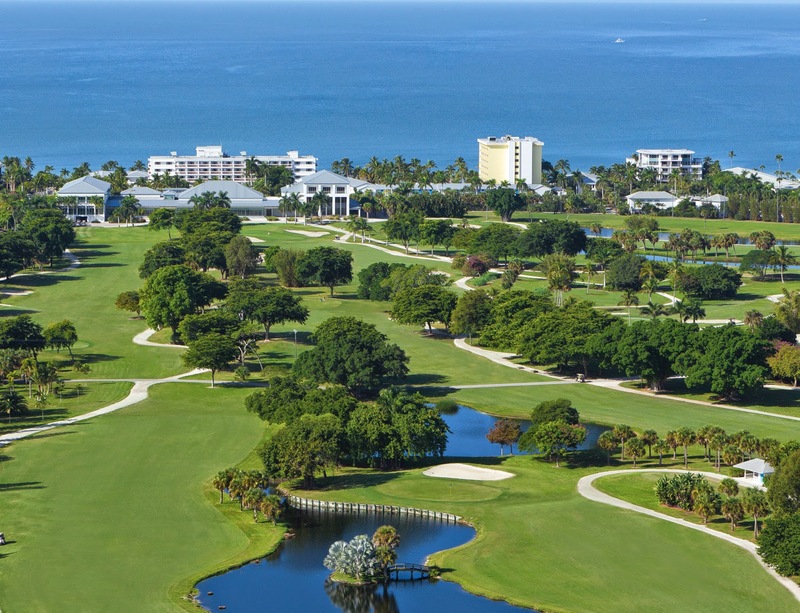 Rich in hospitality and tradition, The Naples Beach Hotel & Golf Club has resided in Naples since 1946. Owned and operated by the Watkins family for three generations, the resort features: 1,000 feet of soft white-sand beach; the 18-hole, par-72 championship golf course; the world-class spa; a fitness center (with complimentary admission for guests); the Mary C. Watkins Tennis Center with six Har-Tru courts; Beach Kids Club, a complimentary daily recreational program for children ages five to 12; an Orchid House, home to over 3,000 tropical plants; retail shops; and beach rentals. The resort also features multiple restaurants and lounges. This includes: the signature beachfront restaurant HB’s on the Gulf; Broadwell’s, providing panoramic views of the golf course; and the Seminole Store, which serves deli sandwiches, ice cream, gourmet coffees and a variety of freshly baked pizza, pastries and desserts in a café atmosphere. The Sunset Beach Bar & Grill has been recognized as the “Best Place To View A Southwest Florida Sunset,” and was named “Naples’ Best Beach Bar” by Travel Channel. 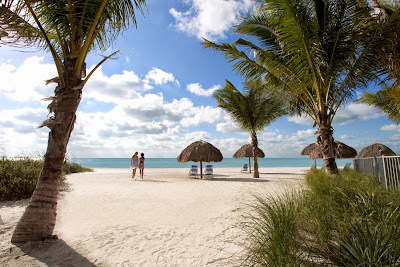 Providing a comfortable, friendly atmosphere, the resort is an exceptional tropical getaway. Resort guests benefit from no resort fees, and complimentary self and valet parking. The resort is located at 851 Gulf Shore Blvd. North in Naples, Florida. Contact the resort at (800) 237-7600 or (239) 261-2222, and visit www.NaplesBeachHotel.com .